The KMX Frame Kit is an easy to spec out frame kit that gives you the all the essential components you need to put together your own KMX frame. It comes with durable hardware that is sure to last a while. We send you all the necessary parts to make a sturdy frame, and then you can add the other components that you want to build your own one-of-a-kind trike. We�ve tested this kit quite a bit and it can handle all different kinds of riding styles. If you�re a jack of all trades, an at-home mechanic, a bike/trike enthusiast, or a do-it-yourselfer you will love the KMX frame kit! All the basics are there, plus there�s room for you to customize your trike the way you want it. 20-inch or 26-inch rear wheel? Internal gearing or 10-speed cassette? Tires for racing or for touring? You know your personal riding style better than anyone else and now you can build a trike that will ride exactly the way you want it to. Let�s talk freedom. Freedom to build. Freedom to customize. Freedom to work around your already busy schedule. Sounds nice, right? Anyone that�s tried to build their own trike will know how difficult it is to get all the hard-to-get parts for a good price, but now you can. All the essentials are there: seat, frame, rims, boom, and more. Build it on your own time, choose your own components, and make all the perfect adjustments so it turns out just the way you planned. This kit comes with a durable KMX Frame. 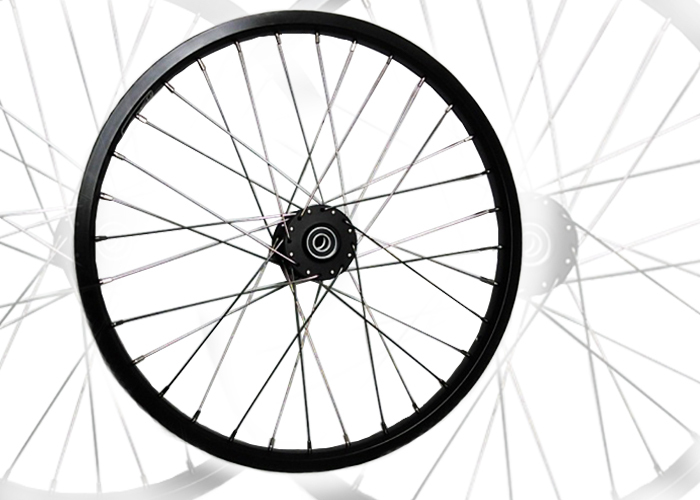 It�s made of a hi-carbon steel that helps to minimize jolts and bumps as you ride. You�ll also get a KMX XL boom with derailleur post. Having the derailleur post up front will let you run a 3-speed chainring up front and give you a wider gear range. 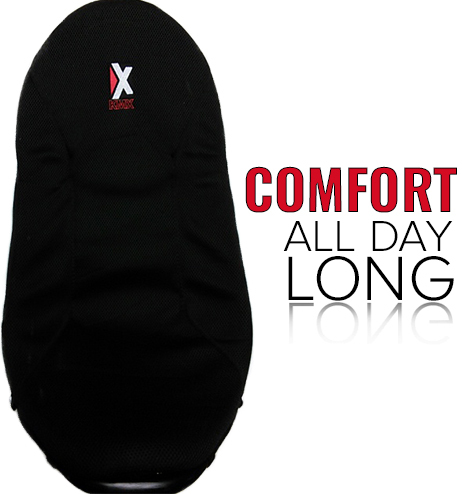 A favorite feature on all KMX trikes is their comfortable bucket seat, and you�ll find this particular seat in your KMX frame kit as well, with all the necessary hardward. Why is it a favorite? The sides and bottom of the seat extend upward to cradle your body so you won�t slide off when you�re cornering hard, and it�s attached to the frame with an easy-to-adjust clamp that makes sizing the trike a non-issue.The KMX seats have side support bars as well, which are intended to be bent as needed for adjustable lumbar support. The frame is made of steel, with foam padding, and a black breathable mesh cover that keeps you comfortable and well ventilated on the road. 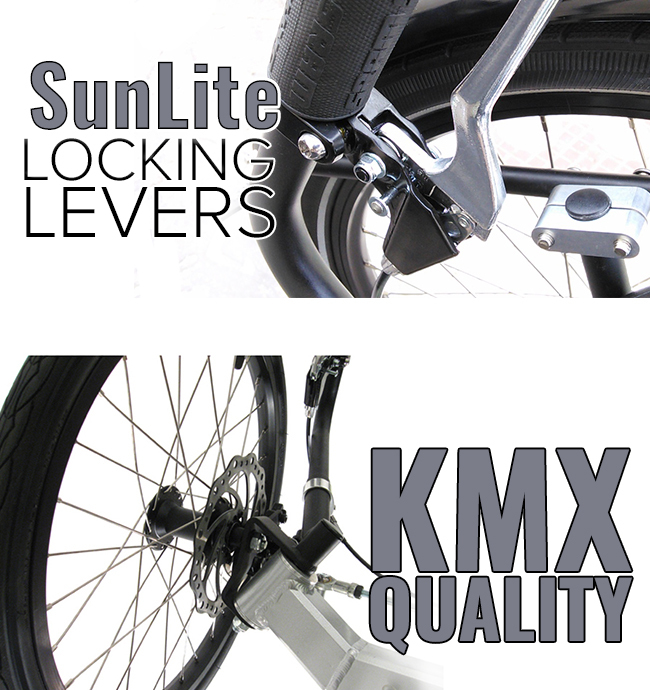 You�ll receive a set of locking brake levers that really will come in handy. The locking function acts as a parking brake so your trike won�t roll away from you. You won�t have to worry about it moving around as you get on and off either. Just like other KMX trikes, you can count on reliable and responsive handling. This frame kit includes KMX handles with grips, steering spindles, a tie rod and the hardware you�ll need to put it all together. This frame kit includes an 8-speed chain, tubes, and an idler. If you want a standard 8-speed trike this chain will work great. It�ll even work well if you choose to go with an internal hub! On the other hand, if you�re thinking about a 9 or 10-speed, you�ll have to make sure to order that specific chain. Like mentioned earlier, the rear wheel is up to you. Choose a size that best fits your riding style. For the front you�ll get two 20-inch wheels with double wall rims that are incredibly durable. These wheels have KMX hubs that are disc brake compatible. Go ahead. Do it yourself! The KMX Frame Kit gives you the chance to build your own trike from the ground up. We give you the basics, then it�s up to you to pick and choose between components. 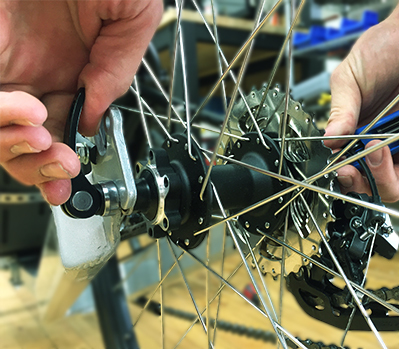 You can use parts from a different trike, throw on some tires purchased from a local shop, or scout around for the best deals on awesome gearing components. We use it as a platform for our KMX 20/20 and it makes a great platform for electric trike models. Whether you know your way around trikes and a tool box or not, the KMX frame kit is an easy way to get started on your next recumbent trike.